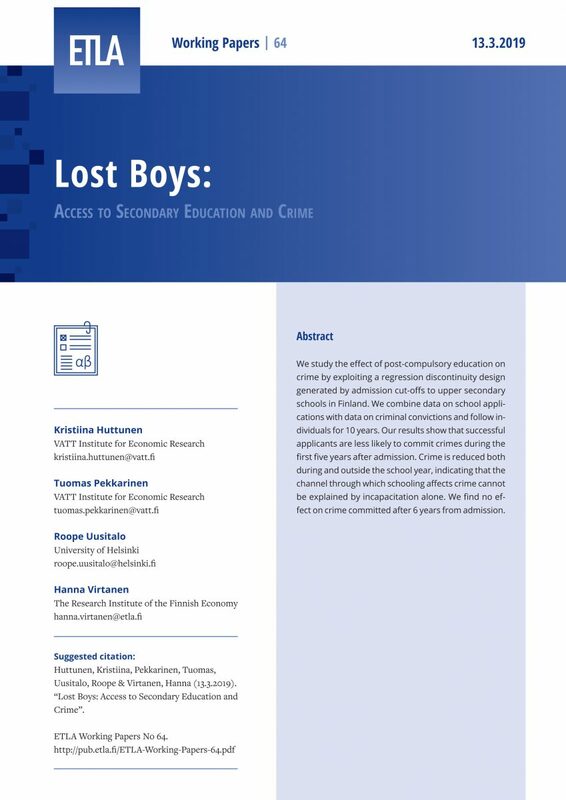 We study the effect of post-compulsory education on crime by exploiting a regression discontinuity design generated by admission cut-offs to upper secondary schools in Finland. We combine data on school applications with data on criminal convictions and follow individuals for 10 years. Our results show that successful applicants are less likely to commit crimes during the first five years after admission. Crime is reduced both during and outside the school year, indicating that the channel through which schooling affects crime cannot be explained by incapacitation alone. We find no effect on crime committed after 6 years from admission.